One of the benefits of signing up for a Nintendo Switch Online membership are special offers. These are exclusively for paid members and new offers will be added regularly. The first two have been revealed! First up are the Nintendo Entertainment System Controllers! 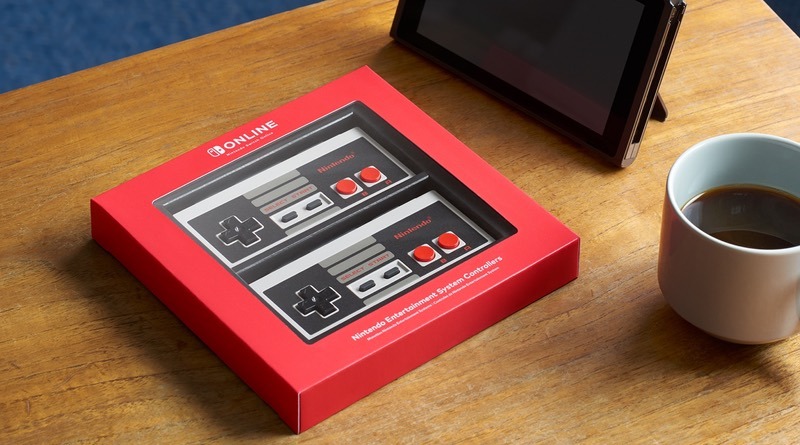 These cost $59.99 and you get two wireless controllers in the style of the original NES pad. The controllers slide right onto your Switch to recharge, just like the Joy-Cons! This bundle will only be available to paid members and the package is limited to one purchase per Nintendo Account. It’s not valid with a trial membership. The controllers go up for pre-order on September 18 and shipments will begin in mid-December. Sweet! As an incentive to purchase a full 12-month membership, Nintendo is giving away download codes for exclusive gear for your character to wear in Splatoon 2. This will include an Online Jersey and a pair of Online Squidkid V Shoes. The codes will be sent to the e-mail associated with the Nintendo Account. If you have a family membership, 8 download codes (one for each member of the family group) will be sent. Nintendo has promised to regularly update these special offers. We’re excited to see what’s next! Playing NES – Nintendo Switch Online will feel even more authentic by using the new wireless Nintendo Entertainment System Controller, available for purchase exclusively for Nintendo Switch owners with a paid Nintendo Switch Online membership in the U.S. and Canada. This re-creation of the original, iconic NES controller comes in a pack of two for $59.99 and can be charged by attaching to a docked Nintendo Switch system. NES controllers will be available for pre-order on Sept. 18. For more details, visit https://www.nintendo.com/switch/online-service/special-offers.